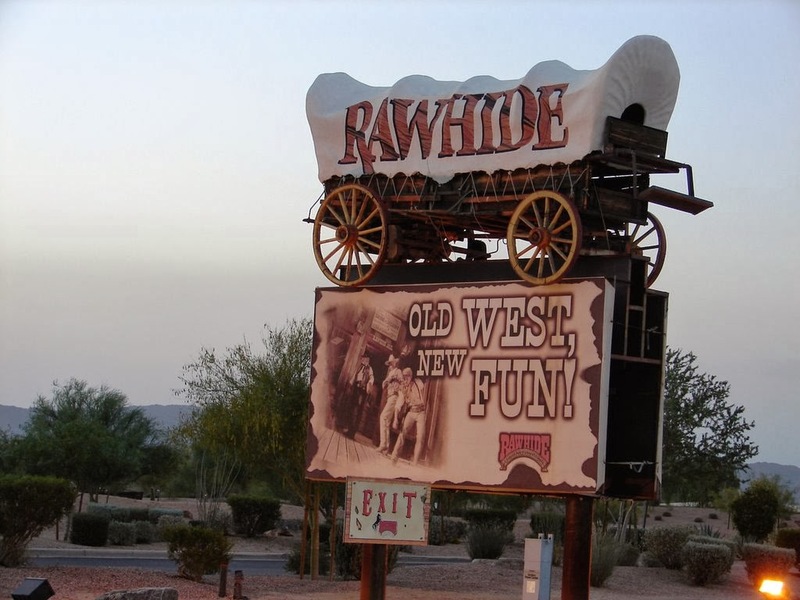 On our upcoming trip to Arizona we will be travelling back in time to the 1880’s with a trip to Rawhide. Rawhide is an old western themed town with a renowned Steakhouse and Saloon along with a variety of attractions. While there you can feel what it was like in the ol’ wild west. You can witness gunfights, see some gun shows and even ride a stage coach. There are other attractions such as a burro ride, rock climbing, live country music, or you can just wonder around some of the awesome themed gift shops. There are numerous attractions, many of which are free, and the rest are very reasonable priced, so it is quite affordable to travel to the past, no time machine is needed. Maybe we'll try our luck at gold panning. Who knows maybe we will strike it rich and this trip will pay for itself! either way, we can't wait to visit! We all know that healthy teeth lead to good overall health. So while you keep your own teeth and gums healthy make sure to do so for your four legged companions. February is Pet Dental Health Month, take it as an opportunity to better the health of your furry family members so you can enjoy each other for many years to come. Your furry friend may not know it, but it’s something veterinarians agree on – your dog’s overall health depends on good dental hygiene. 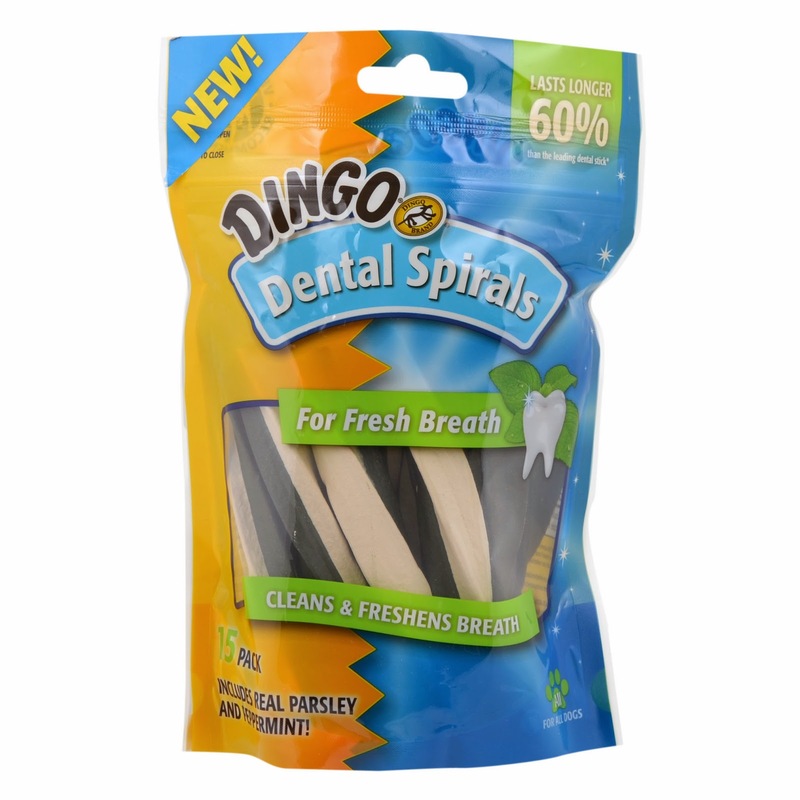 Dingo's dental chews and treats serve several purposes, all contributing to overall health. Whatever treats your pup prefers, they are sure to have a product that he or she will enjoy and which also benefits dental health. Their dental line reduces tartar and plaque, freshens breath, and helps maintain healthy gums. Choose from bite size chicken treats, rawhide bones, mini bones, sticks/spirals, chips, rawhide chews, and many more options. 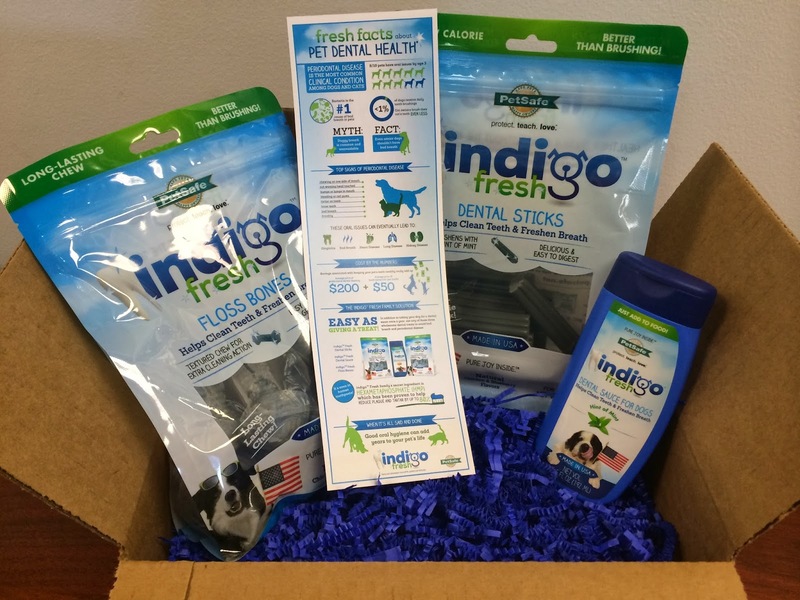 This ingenious 4-step dental system offers pet parents an easy, effective alternative to the stress and mess of brushing their dog’s teeth. Just add a squirt of indigo Fresh Gel to their food dish, which is available in eucalyptus and peppermint flavors. The gel can be lapped right up and doesn’t have to be directly applied to the teeth. An indigoTM Fresh Biscuit a day helps keep plaque and tartar away, while indigoTM Fresh Sticks are longer-lasting chews that clean right down to the gums. And there’s no better way to keep a dog’s teeth and mouth in shape than with indigoTM Fresh Floss Bones. Plus, every indigoTM Fresh product is rich in antioxidants to support immune system health. Tip #1: "You can use Kong Chew Toys for canines. These chews have rigid grooves that help clean your dog's teeth as they chew on them." Tip #2: "If you are looking for alternative dental care for your feline, you can use something like Science Diet Oral Care. This is a good alternative cat food for cat that will help with not only a healthy mouth, but also overall good health." Tip #3: "For both canines and felines, we like to use CET Hextra Chews since your pet can have one of these daily and they will not interfere with prescription diets. Each chew will provide approximately 18 hours of bacteria killing benefits. 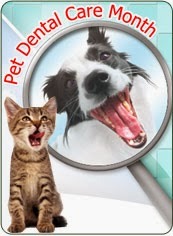 gums and teeth conditions.Most dogs and cats already have signs of gingivitis by age 3. Yet, pet parents often overlooked this pet health care condition. freshens breath while its zinc-based formula combats tarter and plaque build-up, promotes healthy gums, and whitens teeth. No-taste, no-alcohol - the pet's natural licking action readily spreads it around its mouth. Available online, at groomers, and pet retail supply stories. esp. for senior dogs and cats. While in Scottsdale, Arizona, on our upcoming travel we will be visiting a place called Planet Beach. Planet Beach prides itself on providing its customers a quick, convenient and affordable alternative to traditional day spas. What has intrigued us, the most are their unusual massages, such as the Hydro Massage. The Hydro Massage allows you to have the benefits of a traditional massage in about a fraction of the time. You can remain fully clothed in your own room while heated water pressure massages the different areas of your body that need it. This helps restore the overall feeling of well-being and relives minor aches and pains as well as distress and relaxes you. 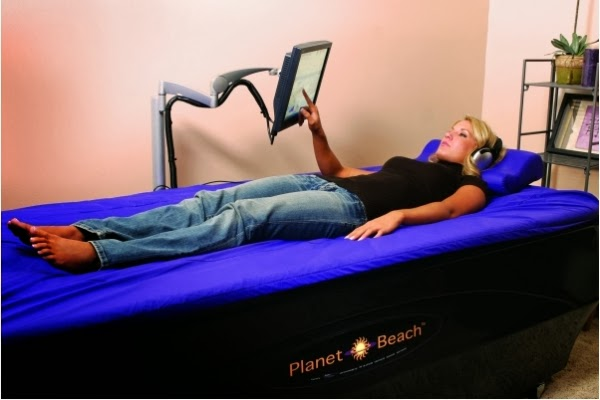 Another massage type offered a Planet Beach is their Cyber-Relax Massage. The customized chair uses a 3-D Point Navi Sensor to scan your body and customizes a massage for you based on 700 different massage combinations. This can have a number of benefits such as decreasing tension, improve blood circulation and help fatigue. Aside from massage Planet Beach offers other services such as spray tanning, teeth whitening, UV therapy, red light therapy full body hydration and facial rejuvenation. It is a great place to pop into for a bit and come out feeling new! We can't wait to visit Planet Beach!! Your dog is gonna love a product called iFetch! Our Jakey immediately took to the tennis balls that came with it- perfect for his size! It's going to take some practice with him though to drop the ball into the hole in the machine, but we're going to give it a try. But definitely a fun and entertaining concept for your dog! iFetch is a dog controlled exercise and entertainment toy. The pet interacts with iFetch using a small tennis ball. Watch the video here. When the dog puts the ball in the funnel, the device “turns- on” and in a few seconds iFetch throws the ball for the dog to chase. The device powers down until the dog returns the ball to its funnel. iFetch has a switch to turn it off and then three positions to allow selection of different launch distances. When turned on it is in a stand-by-mode, waiting for the dog (or person) to drop the ball in the funnel. No one likes to have their feet stuffed into a pair of shoes all day. It's so much nicer when you can have your feet out enjoying air and sun. However since its not quite summer yet, try out breathable footwear, which will make your feet feel alive and fresh anytime! The TerraTECH offers light trail running capability for mid-level terrain with a lateral stability cradle. 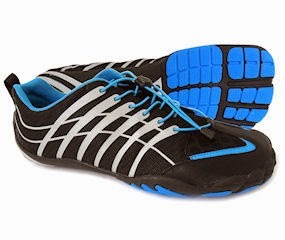 Designed for the dedicated athlete and runner. When you find yourself in Calgary, Alberta, be sure to check out Telus Spark, the new science center. It is a wonderful place filled with exciting exhibitions and programs. Visitors can have plenty of hands on activities with over 120 exhibits. With so much to do you will be sure to find something that interests you. There are a number of fascinating sections to the building. One is on being human, when you can put yourself and your friends and family to the test. You can learn a wide variety of hands on skill including how your brain reacts to falling in love. Other areas include a focus on earth and sky, where you can learn more about the planet that we live on. While yet another explores energy and innovation two things that are very abundant in Alberta there is also the favorite HD digital dome theater, when you can see programs like never before. Currently, the Spark has a fascinating travelling exhibit, all about nature unleashed- natural disasters. You can come and experience the impact of earthquakes, tornadoes, hurricanes, volcanic eruptions, tsunamis, and floods, without ever having to face them in real life. Telus Spark is a wonderful place to discover the scientist in all of us. We can't wait for our own visit while in Calgary next month. 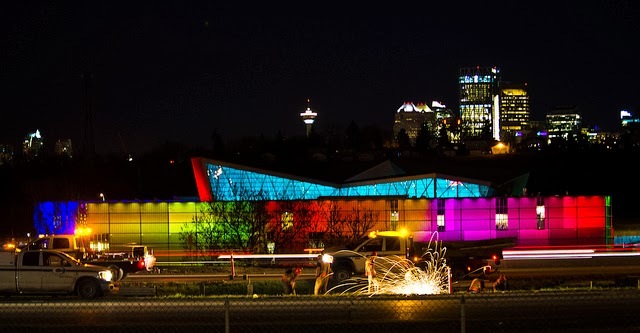 As a new kind of Science Centre for people of all ages, TELUS Spark’s vision is to foster a community transformed by a culture of curiosity, risk-taking and problem solving. Their mission is to be a role model and force for innovation that drives positive change." 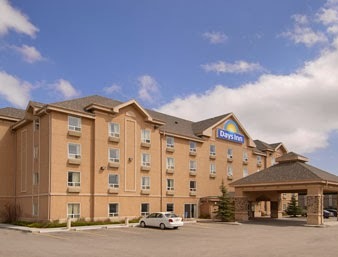 If your flying into or out of the Calgary airport, a great place to stay is Days Inn Calgary Airport. 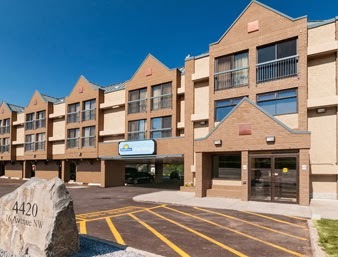 Not only is it close to the airport but it is also close to the Trans Canada Highway, which makes commuting either via car or plane a breeze. There is even an airport shuttle that will get you connected with Calgary International Airport without any hassle. 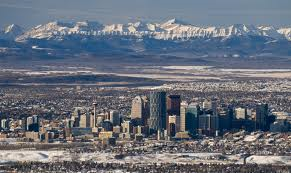 Attractions such as Calgary tower or the very popular Calgary Stampede are only minutes away. 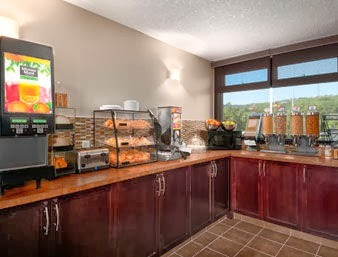 While staying here you can enjoy a complimentary continental breakfast featuring a wide away of goodies including fruit, pastries, cereal and beverages. After you are done exploring the city for the day, try out their indoor pool or hot tub. It is a great way to relax and decompress after a busy day. While you are at it, check out the fitness facilities as well, a great away to stay healthy when you are away from home. 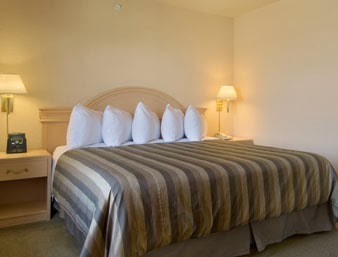 There are various types of clean and comfortable rooms to choose from, some even have occupancy of 5 people which is great for families traveling together. With a great location and even better service, make this the place you hang your hat while in Calgary. ** Also check out their ratings and reviews. 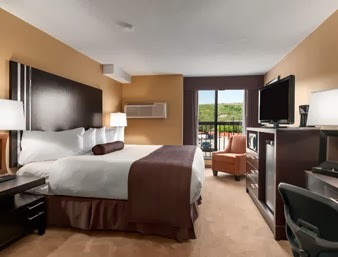 If you are ever in Calgary and looking for a nice and affordable place to stay, check out the newly renovated Days Inn Calgary Northwest, hotel. It is situated right off the Trans Canada Highway so it makes commuting very easy, plus you can check out the sights and sounds at the Olympic Park which is just minutes away. 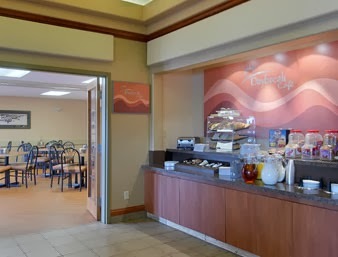 The Days Inn features a continental breakfast (featuring freshly brewed coffee, tea, juice, fruit, cereal, assorted bagels, muffins and more) which is always wonderful while travelling, as it saves you a bit of time and a little bit of money. There is also free WiFi in the hotel which is great if you want to stay connected with your business, friends and loved ones. Some additional freebies include free parking, which is great if you arrive in your own car, or simply want to rent one for the duration of your stay. You also have access to a fitness center. If can even travel with your pet, as you will be happy to know that this hotel is also pet friendly. With so many conveniences it is hard to justify staying anywhere else while in town. Be sure to also check out their ratings and reviews! Well, I guess we'll be taking a trip before our Arizona trip in April. I decided to go with Gerry to Calgary, where Erika is now, and get my veins done in my other leg, before summer gets here. We'll be going the second week in March, for about 3 days. You may have remembered when I went to Winnipeg last Fall to have one leg done. At the time I thought I was going to be getting both done, but they can only inject you with so much solution to collapse the bad veins, so I could only have one leg done. The plane fare from here to there is extremely high and driving the 9 hours in the Winter didn't seem like an option to me, but I wanted to get the other one done. Well, a light bulb went off the other day and I thought about another alternative and it turned out to be not so bad an idea. I found out that Gerry and I could probably fly cheaper from Saskatoon- Calgary and I was right. We have points for this and that so we'll be all set. Reward cards of all kinds are great- whether it's just plain 'ole reward cards or credit card reward cards. The procedure will be done at a vein clinic and since I had one leg done before, I know what to expect and it's not too bad. Yes, there is an expense involved. It's $275 plus a $50 out of province doctor fee. But despite being thrifty, it really is worth it. Not only for the looks, but also made my leg feel better. Bad circulation is not good. While there, we'll be able to take in some of Calgary and visit with Erika and Jon. Be sure to follow along for upcoming posts on that and Florida - heading back there for a few days, in June, to get some heat! You'll truly enjoy the uniquely refreshing shower experience of Waterpik® RainFall +™ Series. This rain shower head line includes a variety of styles, spray settings, and finishes with the same great Water Pik performance. Whether you want an adjustable arm, large shower head face, or drenching rain spray, Waterpik® rain shower heads were created to make every shower a soothing rain experience. We love our new RainFall shower head with 7 settings! I loved the pretty flower like design that looks like a giant daisy, and the way it covers so much of a space to shower you with. Gerry loved the amount of water that was showered over top of him in a wider area than our old shower head, and even said he is staying longer in the shower than he normally does. Installation was easy and quick and he was able to make the change over quickly. This product truly does give you your own private spa relaxing experience! Chris and I got a chance to review the GoPicnic “Simply Delicious” Holiday Gift Box http://www.gopicnic.com/Simply-Delicious-2013 and it was pretty tasty! 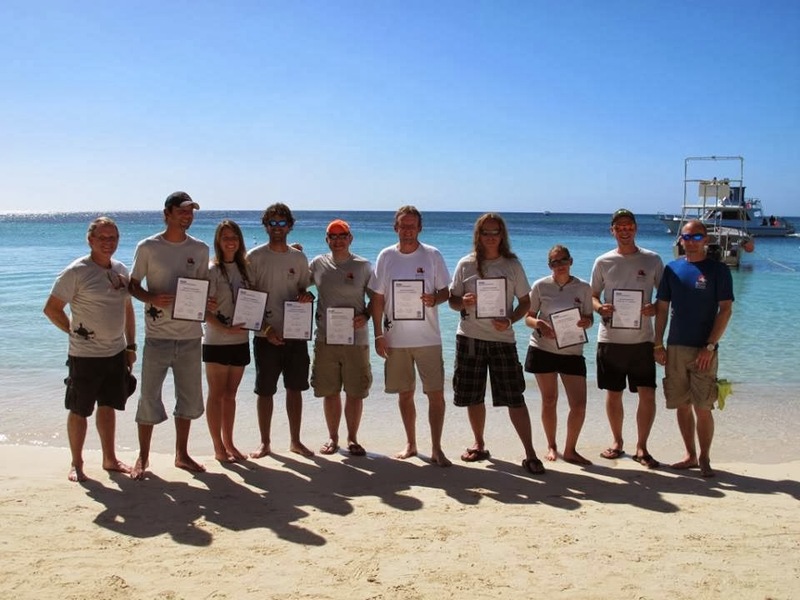 It arrived in the afternoon while we were at the dive shop and was a very nice surprise! We are right at the end of our IDC in Roatan and have been so busy with classes and homework that we haven't had a lot of time to shop for groceries so the snack box came at the perfect time. We dug into the Professor Zim Zam's Pillow Cookies and Rice Crisp bars first! Most of the products in the box are made with organic ingredients, non-GMO, vegetarian-friendly, and/or all natural ingredients. These items were all great for throwing in our backpack to have for snacks at work. 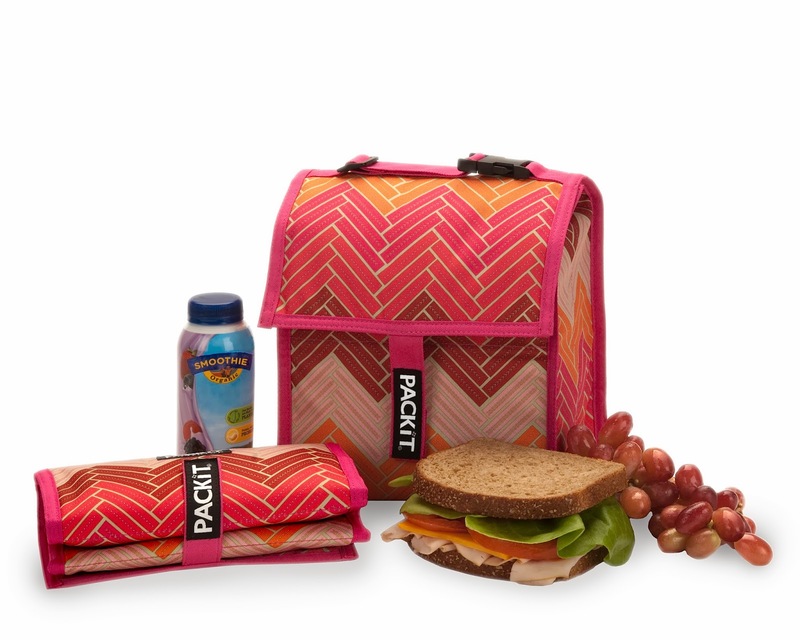 They would be super snacks for kids' backpacks or lunchboxes as well. My FAV by far was the sausage and cheese which we ate for supper one night with some Triscuit crackers we had laying around. And the shortbread cookies were the second fav runner up. 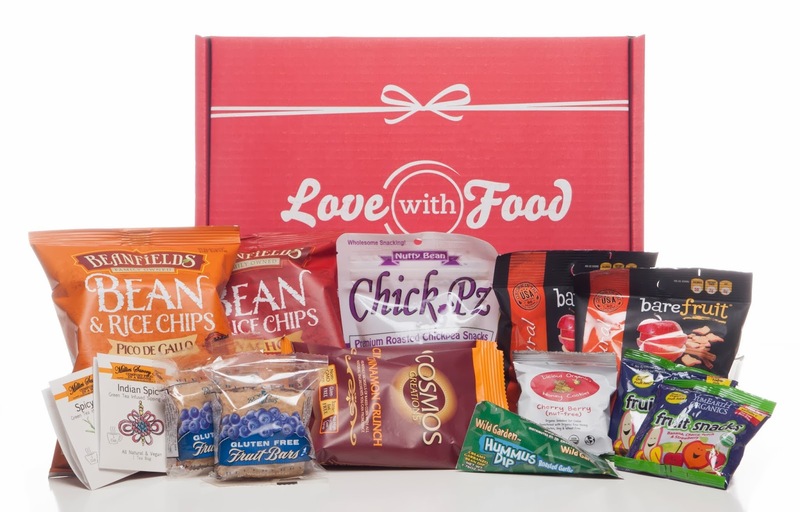 The ready-to-eat meal is also a nice pre-packaged snack to take with you that included mini PopChips, turkey stick, fruit bar, rice crisp bar and dried fruit/nut mix. I'm not sure I would call it a MEAL, but it is a good item to hold you over until you can get some real food! And they have a great variety of different kinds of the ready-to-eat-meals on their website as well! Do check them out! 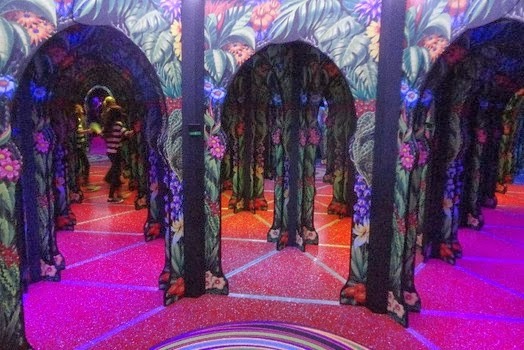 While in Arizona, we will be visiting the Odsyea Mirror Maze, which is a fantastic maze build to simulate the sights, sounds and thrills of a deep and dark Central American rain forest. In the maze you walk through various tunnels, or rickety bridges, as you hear the laughter of monkeys or the hiss of the anacondas. It is all in good fun. Who knows, maybe you will even be able to catch the elusive butterfly? The mirrors are designed to add an element of confusion to the exercise, and trying to outwit the maze can be a lot of fun. For those looking to test their ninja skills there is the Laser Maze. 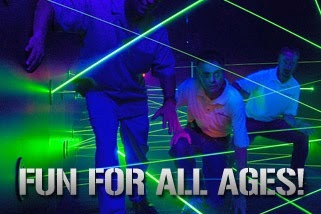 It is an opportunity to twist, duck and crawl your way through a variety of lasers. Some of the lasers move, so you will have to be quick and nimble to make it through the vault and beat all your friends. Both these mazes seem like an excellent opportunity to get out of the Arizona heat and have a little bit of fun, as long as you do not get lost, that is. We cannot wait to try our luck in both of these mazes and rediscover our inner child. 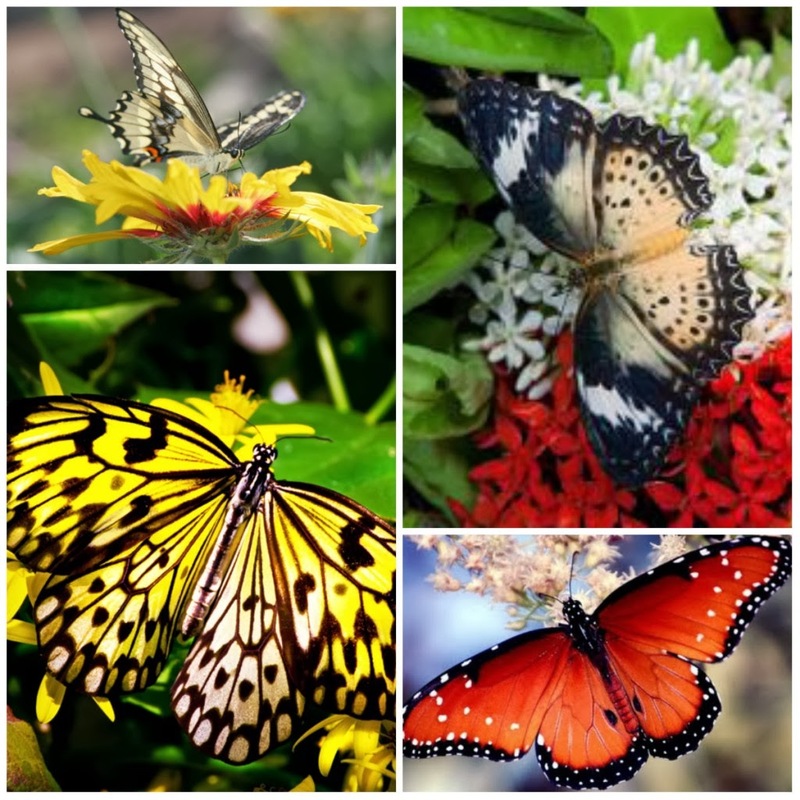 While in Scottsdale, Gerry and I will be visiting the Butterfly Wonderland, which is the largest butterfly pavilion in America. The Atrium simulates a rain forest where thousands of butterflies fly freely from plant to plant, and sometimes even land on a visitor’s shoulder or finger. The atrium also features a butterfly emergency gallery, where you can witness the beautiful butterfly emerge from its cocoon, truly one of the rare experiences in life. And I see, a 3D theatre- featuring a stunning story and fascinating life of butterflies as told by this specially-edited 3D version of “Flight of the Butterflies.” This is a great one to cross off your bucket list! After you are done admiring the butterflies you can check out the honey bee exhibit, it is also a unique opportunity to watch a working hive (from behind the glass). There is also an opportunity to see a harvester ant colony working together. Finally there is the rivers of amazon exhibit, which allows the visitor to not only see but also to touch Motoro Stingrays. You can also see the many types of tropical fish, including the Amazon Pacu fish along with it very human-like teeth. This seems like a wonderful place to visit and see the beauty and magnificence of some of the worlds smallest animals that we just don't stop and appreciate enough in our day to day lives, so we cannot wait to go and see it. ***Butterfly Wonderland is the first phase of "Odysea in the Desert", a 35-acre, multi-million-dollar entertainment complex that will include an IMAX theatre, the largest aquarium in the southwest region (scheduled to open in 2015); an "Arizona Experience;" a Ripley's Believe It Or Not Museum; distinctive retail shops; and a "Taste of the World" culinary showcase (similar to those at Epcot in Orlando, Florida) with 14-16 distinctive international restaurants. 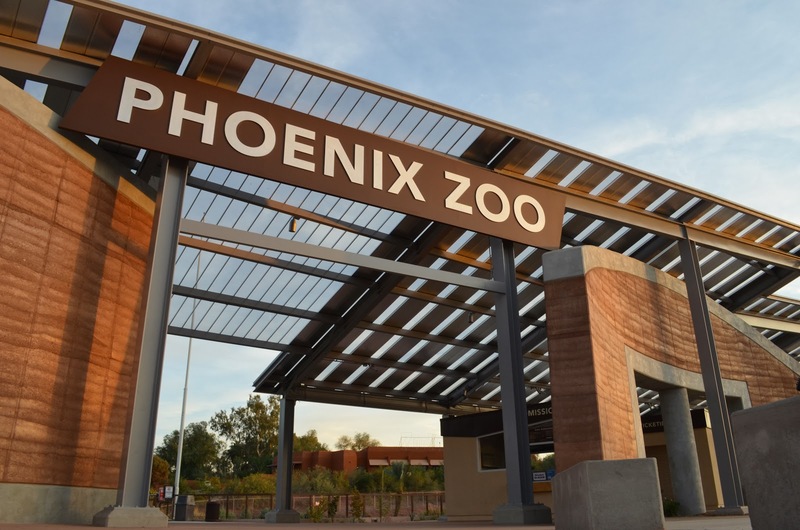 While in Phoenix we will be visiting the Phoenix Zoo-one of the largest non-profit zoos in the country. Being animal lovers this seems like a natural place to visit. This zoo does a lot in terms on conservation and rehabilitation of animals, so that not only do we get to enjoy them but future generations as well. The zoo is now also a sanctuary for those animals that are either endangered or unwanted. We are very excited for our visit, it is always nice seeing animals in real life, but to also know that they are living fulfilling lives, even though they are in captivity. 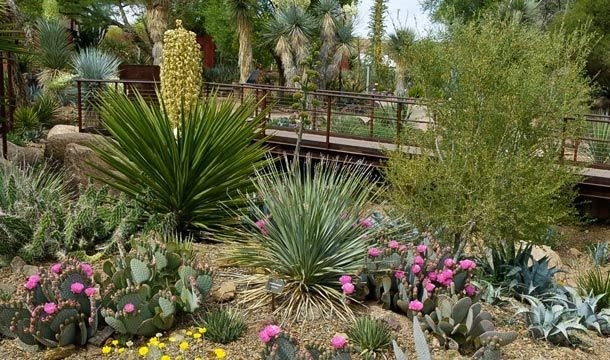 On our upcoming trip to Phoenix, Gerry and I will be visiting the Desert Botanical Garden. It will be nice to see a little bit of desert flora that is not easily spotted in Canada. The Garden houses several trails that you can wonder and explore. 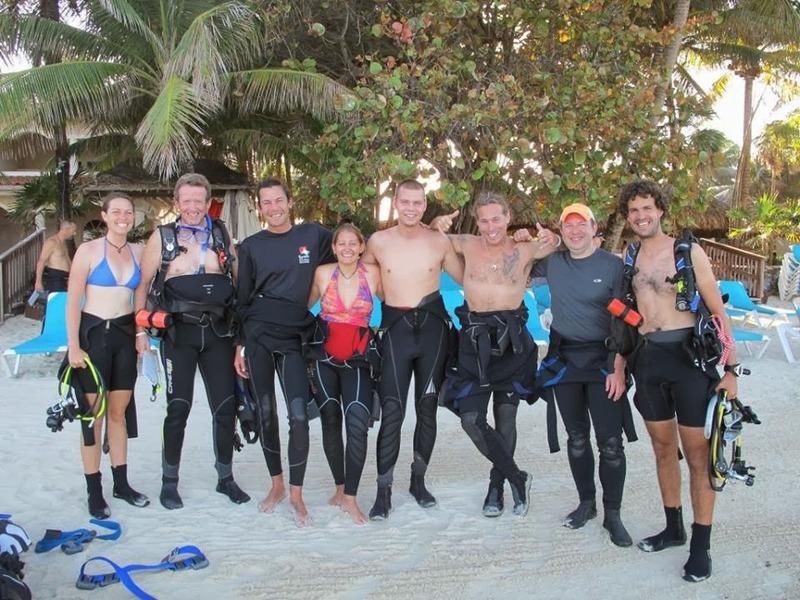 It also provides you with a fun and interactive experience that both educated and exhilarates. The Desert Botanical Gardens house numerous exhibits throughout the year. This means that this place is constantly evolving and changing. When we will be there the Chihuly exhibit will take place which will showcase multiple installations and artworks by artist Dale Chihuly. There are always a number of other events such as ‘ask the gardener’, garden flashlight tours, and garden discovery sessions. If you are more into the fauna than the flora, the Gardens also offer a morning bird walk among the Garden trails with a bird expert. It is wonderful to see the birds zoom in and out of the dessert flora. To get the most out of the experience for desert newbies such as ourselves, it may be fun to try a guided tour which will point things out to us that we may otherwise miss. Luckily there are a vast number of guided tours available including (but not limited to Music in the Garden, native Cultures and Plants of the Southwest and Photographic Safari). This will be a nice and relaxing part of our trip, some can even say it will be as easy as a walk in the park. A few months ago, I went to the doctor because I had an uncomfortable tailbone when I would get into bed, lay in the tub or be in any reclining type position. The doctor did an xray and said I had a "normal" tailbone. He said that sometimes when people lose weight or don't have enough padding on their butts, they will feel their tailbone more than the other guy that may have more padding there. He also said I was to take the pressure of the tailbone by sitting on one of those blow up donuts. But I tried that, as well as read about them online and they really aren't suitable for that. The blow up donuts seem more suited for the "front" area than the back. All we had available in town though WAS the blow up donut, that I ended up returning, and one small cushion that didn't seem to be very thick but was around $30 at a local big box store. I will be reviewing one in the near future, but in the meantime, Gerry bought a regular chair cushion , cut away some of the stuffing in the back middle and resewed it, so I am not sitting right on my tailbone. Cost? $12.49 + tax. We thought of an alternative way to save us some money and it seems to be working . I am still looking forward to review the other cushion though, as I still could use a cushion for the car. What has everyone got planned for their special "heart" day? We're also going out after he's done work today- made a reservation at a local hotel restaurant. Have a gift card Erika gave to us that she hadn't used before she left for Calgary. And I'm not a big eater anyhow, so won't cost us much plus there's a new movie on Netflix tonight so we'll have dinner and a movie so to speak. Have a Happy Valentines' Day! In April I will be accompanying Gerry as he goes to a conference in Scottsdale, Arizona.But we will be flying into Phoenix so visiting both places while in the area. It will be so nice to get away to the heat of the desert after a rough winter at home. It will be our first time too to see a giant cactus! Scottsdale is very close to Phoenix itself; it is sometimes described as “Desert Version of Miami’s South Beach”. There is a lot of restaurants, some outstanding shopping, sports and recreation. Scottsdale also has a very hip and happening night scene, meaning that there is plenty to do when the lights go out. Scottsdale is also a great place to wander around and just enjoy the architecture and the design of the city itself. Phoenix has the sixth largest population in the United Sates and the city is booming with things to explore. The city has a large food scene as well as performing arts scene, plus a few nature parks scattered throughout if you want to get away from it all. We are very excited about our upcoming journey, and it will make what is left of winter a little more bearable. It's nice too because Gerry's company he works for is paying for the trip- we'll just be paying for my plane fair and Jake's stay at the kennels while we're gone. Another plus is that we put all of the trip on our points credit card, and the company will reimburse us! Stay tuned for more posts on our upcoming trip! February is Bake For Family Fun Month ! February is Bake For Family Fun Month. With the weather outside being frightful in many parts of the country it is the perfect opportunity to bake some great treats to enjoy with your loved ones. While you are at it, take the time to experiment and maybe bake something different, just for the fun of it. With electric mixer, beat butter and sugars until light and fluffy. Add the eggs and vanilla, mixing until combined. sheets lined with parchment paper. then return cookies to the oven to bake for about 2 more minutes. Remove cookies from baking sheet and cool on a wire rack. 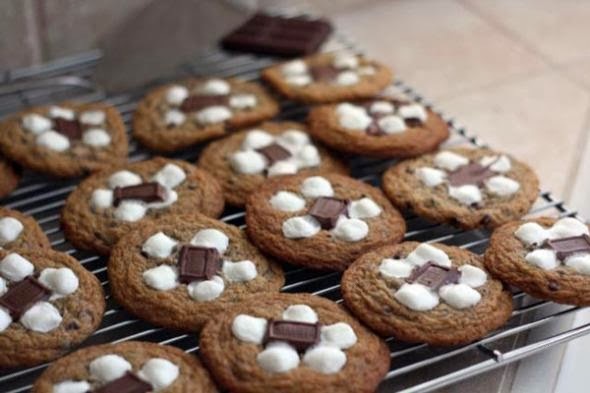 These are delicious S'mores Cookies from Celebrations.com, that are a wonderful treat for the entire family and are a fun twist on the classic treat. From double chocolate chunk cookies to white chocolate macadamia, the possibilities are endless with the new Silpat® Cookie Non-Stick Baking Mat. Designed to fit the popular 14 by 18-inch cookie sheet pan, it offers even heat distribution, ultimate release and easy cleanup. 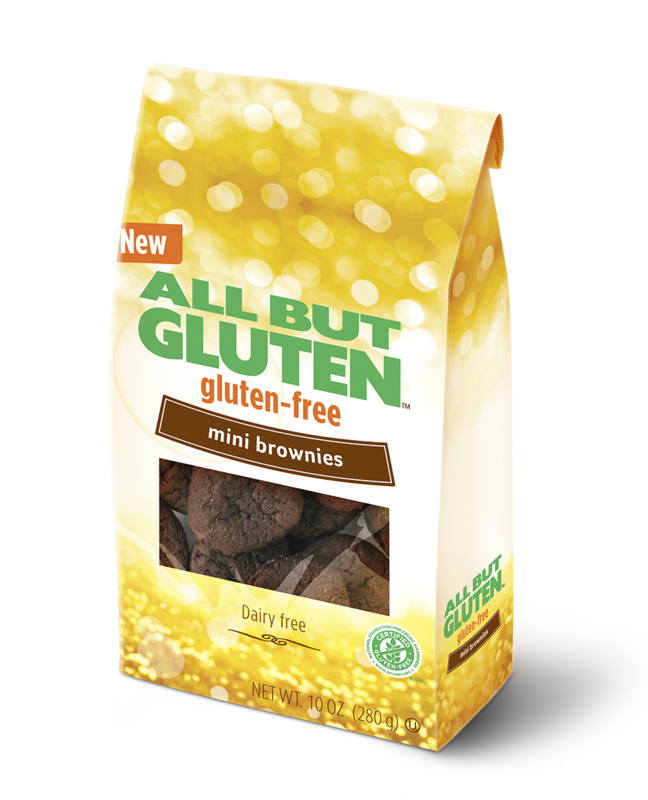 ** This is truly a great product for baking cookies on. I have tried baking and lining my cookie sheets with tin foil and my cookies keep burning. 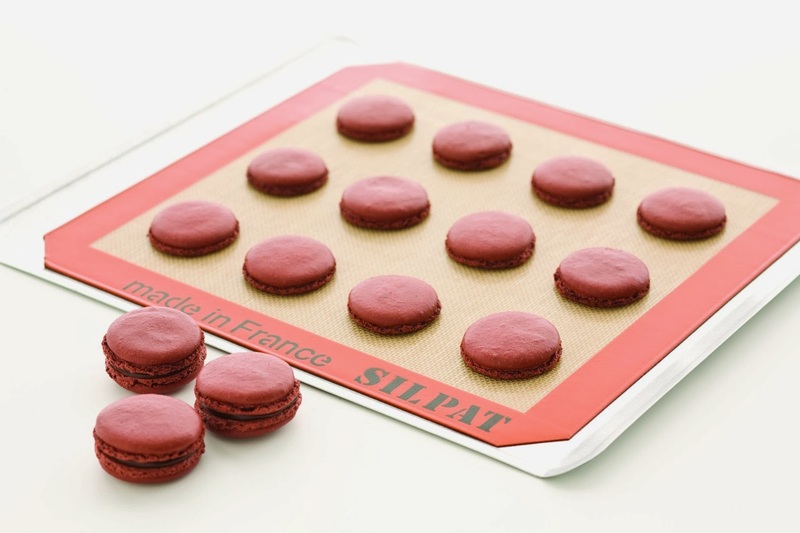 The Silpat baking sheet makes me more confident to bake cookies again and not shy away from cookie recipes! Who says wild blueberries are out of season? Back in August, during the harvest season, Wyman's of Maine harvested 10,000 acres of wild blueberries and flash froze them to lock in fresh taste and nutrients. 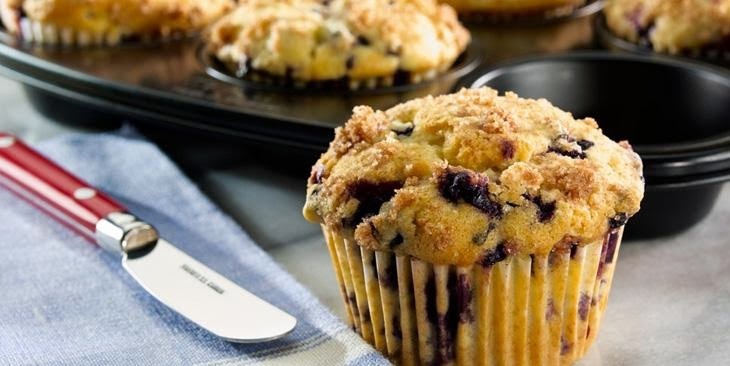 They planned ahead and now you can reap the benefits by snacking, cooking and baking wild blueberries all year round. Here's a coupon to get you started! **watch this spot for more recipes coming soon!